As a traveling consultant I've developed a pretty poor opinion of American cars. Sliding doors that won't close, unfathomable glove boxes, ugly/boring interiors, boring/ugly exteriors, crazy placements for the radio/ac/heating/trunk release buttons, plastic doors with tails of extra material hanging off poorly drilled holes... 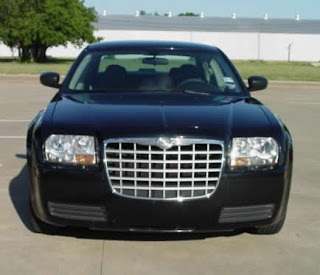 The other day I was sitting in a Chrysler 300 talking with one of our tech leads about how he really wishes the rental company hadn't upgraded him and would've much preferred a Hyundai Elantra -- a car that costs half as much as the 300. It's a bit depressing. I spent the last week writing a log parser of all things. The web site I'm currently working on is the sign-up page for a large company so they are very concerned about how far the average joe gets into the process before they give up. If everybody bails on the address page, then perhaps it's too complicated or unresponsive or... something. Up till now we've been redesigning pages based on some data and a lot of guesswork so we thought it might be about time to get some serious data on every session every day. Now the first thing you learn about parsing rails logs is that they are designed to be human readable but not so much computer parsable. An Apache request is one line. A Rails request log has lots more info, but is multi-line. And since we run a lot of Mongrel instances at once, all these requests are interleaved, so sorting them out is an intense computation (we actually ran out of memory a few times before we did some optimization). In my last post I talked about using RSpec without Rails, but since just about all my Ruby programming involves Rails, I should probably get into how to specify Rails code. Which will get you a bunch of stuff to play with. Of you'll need to set up your database.yml and run rake db:migrate if you want thing to work. I'm going to try and turn my recent presentation on RSpec into a series of blog posts -- This being the first. Before I get on with it I would like to thank the Houston Ruby and Rails Users Group for having me. They asked some pretty insightful questions and were generally a great audience. I'd also like to thank ThoughtWorks for paying for my flight, rental car, and lost billable hours so I could do this presentation. Later this evening I'm giving a talk on RSpec at the Houston Ruby and Rails Group. from the base of your project will get you a bunch of generated specs to look at and play with.